Gunmen in Tijuana Mexico burst into a private drug rehab center called El Camino late Sunday night and executed 13 recovering drug users. According to witness reports, gunmen made the recovering addicts lay on the floor and then fired on them with automatic weapons. The gunfire was said to persist for as long as 2 minutes. Normally about 45 residents call El Camino home, spending time at the facility to recover from drug addiction and passing the day in therapy sessions and work projects, such as making dog houses for sale. Most of these residents escaped death by hiding on the second floor of the facility. Mexican cartel experts say that drug treatment facilities are sometimes used by cartel members as hiding locales, or as places for drug distribution, and as such are occasionally targets of the cartels’ extreme violence. In June of this year a similar attack left 19 people dead at a drug rehab center in the city of Chihuahua. 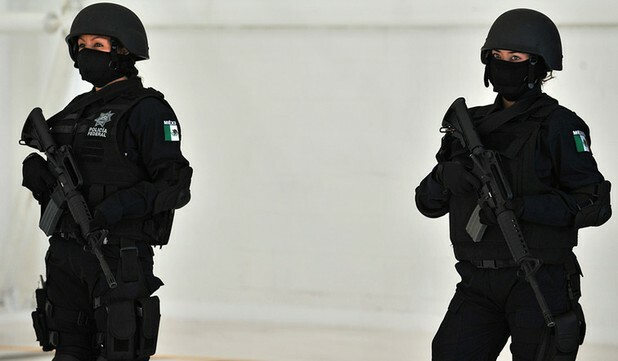 Tijuana had been touted as a center of progress in the battle against the cartels, and authorities believe that the slaying may have been in retaliation for a record seizure last week of 134 tons of marijuana in the city by the Mexican Army. Shortly after the attack, someone broke onto the police radio frequency to play a narco-ballad (a song about the drug trade) and to say that one person will die for every ton of marijuana seized. The voice also warned that the attack was just “a taste” of Juarez style violence. In Juarez, three years of drug turf battles have left more than 6500 dead. Since Mexico declared war on drug traffickers more than 3 years ago, 28,228 people have died in related violence. This mass execution was the country’s second of the month. Earlier in October, gunmen in Juarez stormed a teen birthday party and killed 14 people, most of them high school students. Mexican Violence: In this month's second mass execution, gunmen killed 13 at a drug rehab center in Tijuana.